Google recently came up with the surprising notebook, the Chrombook and now they are back again with even more cheaper notebook than the precious one. Acer C7 Chromebook is suppose to be the new product from Google Acer Consortium and is aimed to users who do not want non sense elements, no licensing agreement and even no viruses. Acer C7 Chromebook has been the device powered with Intel processor with 2 GB of RAM, 320 GB of hard drive, 11.6 inches of display, 100 GB of Google Drive cloud space and has been priced at just USD 199 which is USD50 cheaper than the Samsung Chrombook which has been launched a month ago. 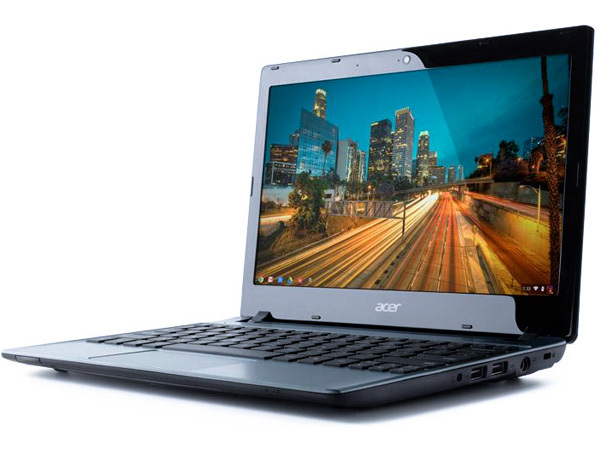 Acer C7 Chromebook will be available from November 14th from Google Play or you can also buy it from Amazon and Best Buy in US. It is also available from the selected online and offline retailers in UK and US. It would be interesting to watch the performance of Acer C7 Chromebook over the Samsung Chrombook which already has established good reputation in the market.